Let’s get the presents ready with a year-end wrap up. We’d like to take a moment to put a bow on a wonderful season of Education and Community Engagement programs. 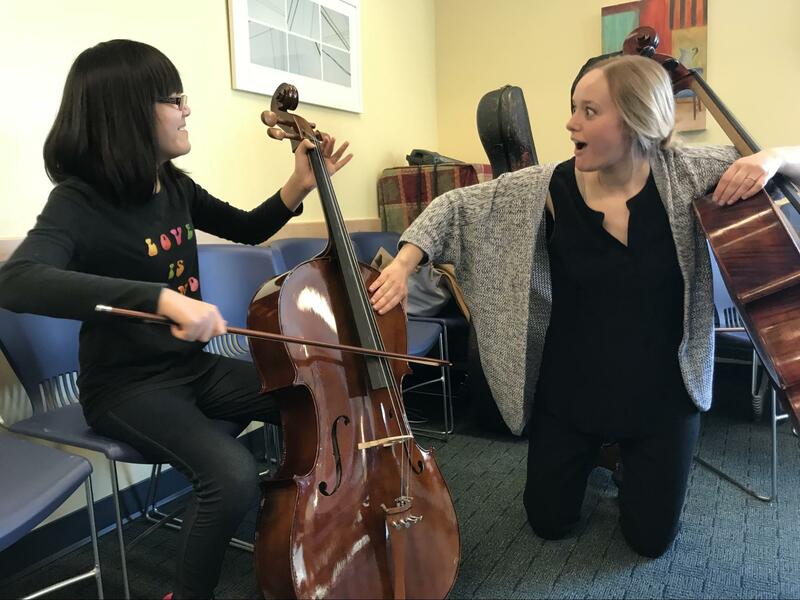 For over 50+ hours per week throughout the entire school year, the Boston Philharmonic is actively teaching and performing in a variety of community-centered programs. 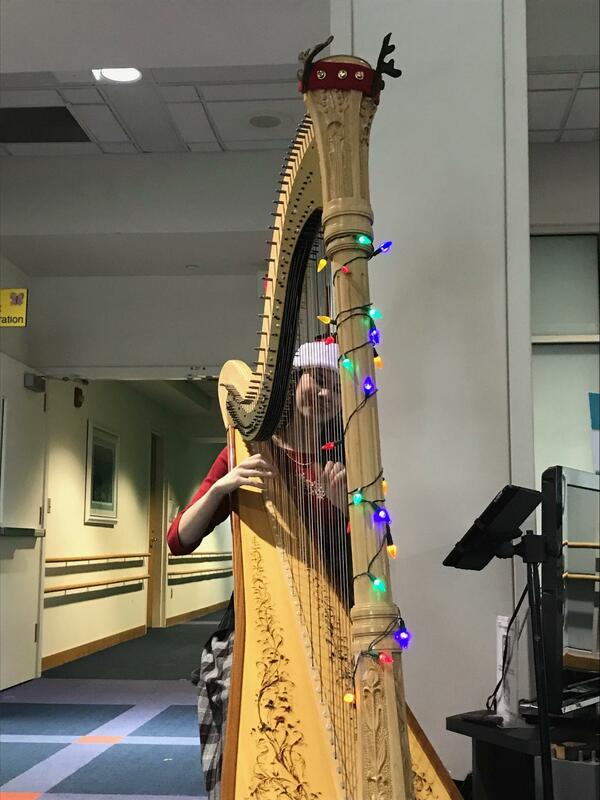 At this time last year we were at Shriners Hospital bringing soothing holiday harp music to children awaiting treatment. 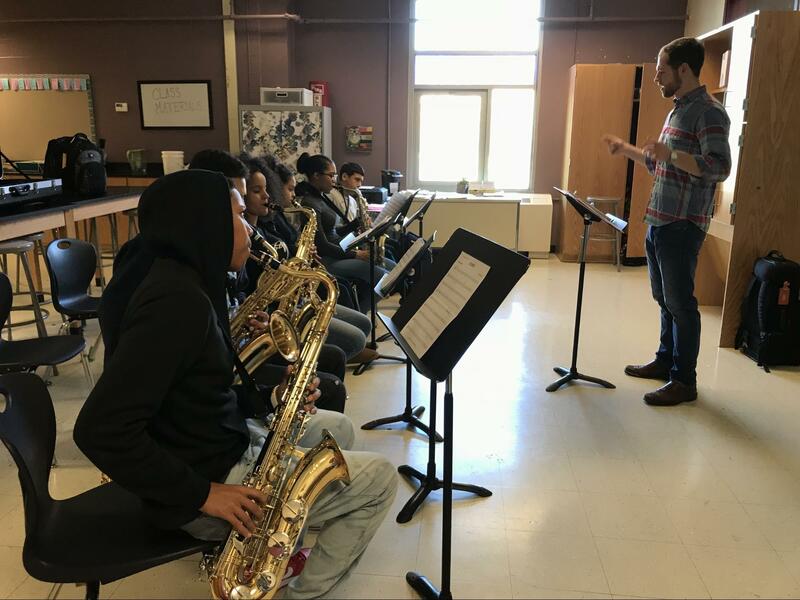 We teach in many school programs, helping to support talented music students throughout the city, such as the saxophonists at the Margarita Muniz Academy in Jamaica Plain (photo below). We bring instrument playground opportunities to children who want to experience the joys of playing an instrument for the first time, such as at the Beverly School for the Deaf. 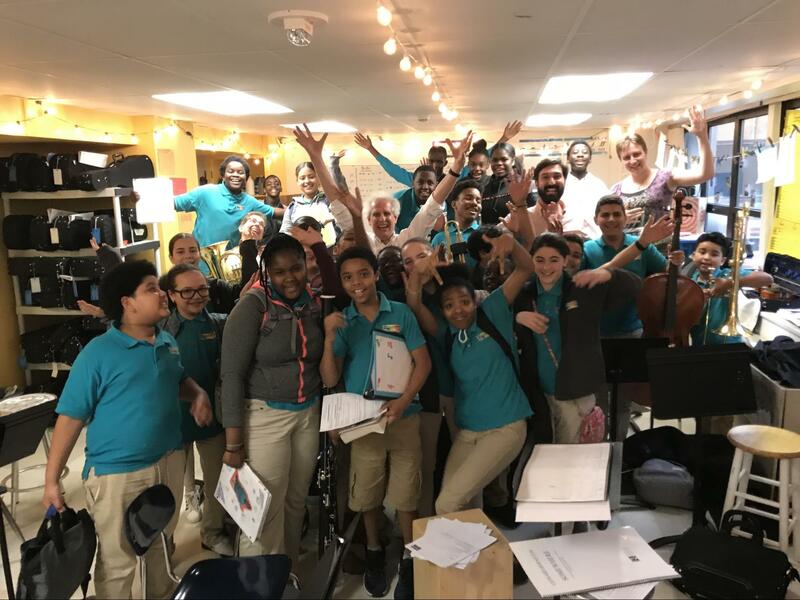 Our own Maestro Zander never fails to get into the community and work with the children at our partner schools, such as the Conservatory Lab Charter School in Dorchester. 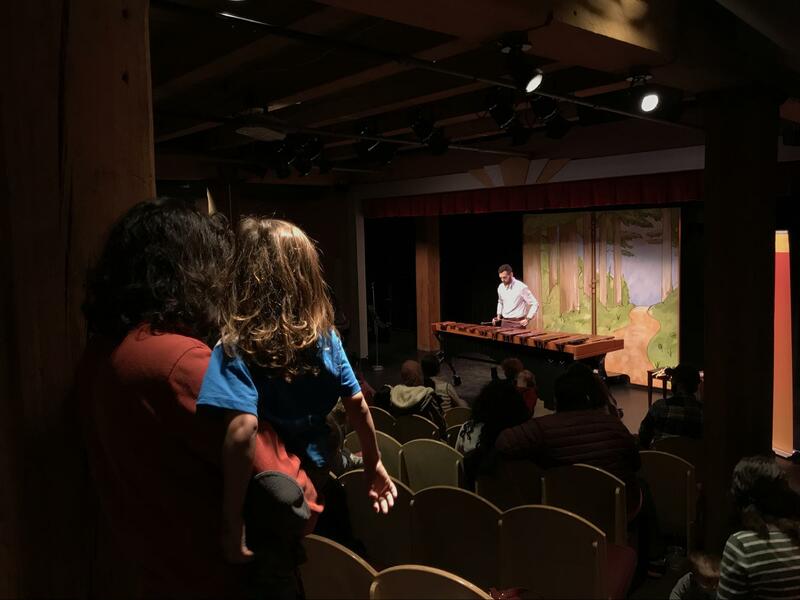 Whether it’s a grooving marimba concert at the Boston Children’s Museum or an engaging string quartet performance at the Boston Public Library, the Boston Philharmonic sees every community and every performance as unique as every snowflake. 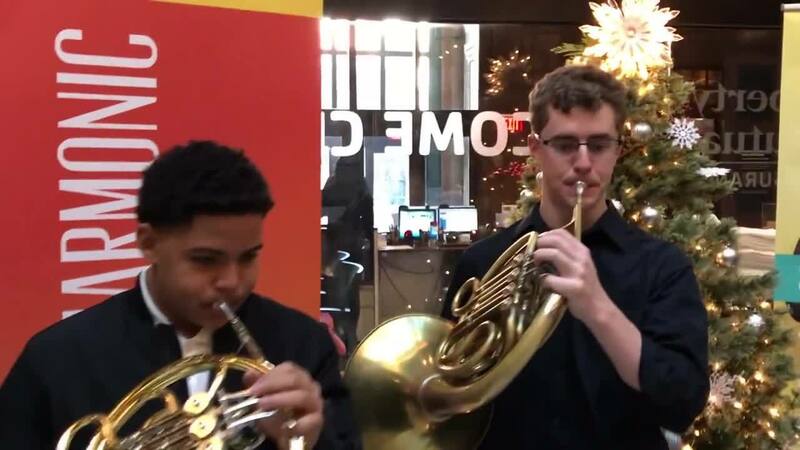 We hope you’ll join us for a free performance at the Urban League in Dudley Square, Roxbury (88 Warren St.) of some festive holiday brass music, featuring the Sauce Quartet, a group of talented trombone trail blazers - December 18th at 6:00 pm. May family, friends, and community come together around the hearth over music and joy this holiday season!